This Mothers Day we are giving away a gorgeous GIFT PACK VALUED OVER $500 ! Mothers Day is so special for pregnant women so celebrate motherhood in style with QueenBee.com.au. Here's your chance to win this wonderful gift pack filled with essential items for your pregnancy including a chic dress, leggings, sleep bra, comfortable sleepwear for your hospital stay and a stylish nappy bag - as seen on Jessica Alba. What are you looking forward to most about becoming a new mum? Being a first time mum, I look forward to nurturing and caring for a beautiful little bubba, as well as loving and cherishing our special moments together. Definitely life will never be the same again, but I remain hopeful and thankful for the arrival of this new family member! Seeing that little face for the very first time, the one you've been dreaming of your whole life. Looking forward to starting the next new phase of my life with a great new addition to our family. I am most looking forward to slowing down internally and really appreciating and noticing the smallest things in life. Creating a wonderful energy and space to be in. Holding my baby for the first time! This year seems to be a year for babies. I am looking forward to not only all the craziness, joy and amazement of being a new Mum, but even more, I am looking forward to sharing this experience with so many of my friends; swapping advice, lessons, experiences and yes, even fashion recommendations! 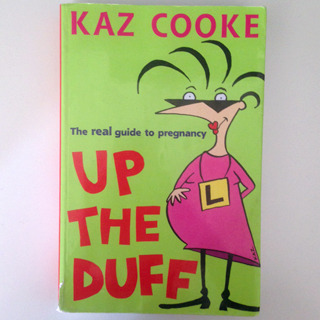 Congratulations to all the soon-to-be and new Mums out there. Looking forward to watching the kids grow together and them love and adore their younger sibling! I have a 6 month old and have just found out I'm pregnant again, my first was conceived through IVF. I'm so excited to see him become a big brother, he is so loving and sweet. So while it was a shock I'm now over the moon! Doing the most important and rewarding job in the world! Learning and watching this amazing little person grow and change in front of me. Sharing the fun and love my partner and I have with our new bubba. Cuddles!!! Being a first time mum, I am looking forward to a new chapter in my life, full of firsts. Taking our baby travelling and buying all of the beautiful things on offer for my tiny person. Holding our new little one & all the lovely newborn cuddles & smells (the good ones lol). Giving our daughter a baby brother/sister. This will be our 3rd child, I can't believe how quickly they grow up! I am looking forward to so much joy introducing this bub to our family but mostly, looking into this new little persons eyes while feeding, listening to those first giggles of joy & excitement and watching the big brothers goo & gah over how precious & tiny this little brother or sister is!! Can't wait!!! I'm most looking forward to finally having out own baby. I have run family day care and looked after friends babies. All the while waiting for my own to come along. And now, September 2014 is when it's all going to happen! Becoming a new mum parent involves so many personal transformations. Many lifestyle changes but exciting & good ones. I know I will experience fatigue/exhaustion combined with pleasure & satisfaction. Having a new little baby depend on you is such a commitment & is love for life, I know once my baby is here I would never be able to imagine life without him. That is def something to look forward to! That moment when you see the face of the child you have been carrying and daydreaming about for so long. To see you and your partner reflected in that face. I just can't imagine how special that will be. Holding my baby in my arms for the very first time. Cant wait. I am excited about the gift of life. We have too many friends/family that can't conceive and every day we feel blessed to be pregnant and bring a new life into the world. There are so many new things to look forward. I can't wait to see what characteristics and looks that this baby will have. I most look forward to raising a world changer - one who will be fierce courageous and not live in fear but rather one who takes on the world and makes a difference in his or her home and community. I can't wait to give my first born the love, attention and care that my parents gave me. I've been blessed with an amazing family, awesome friends & the perfect partner. I can't wait to give birth, to feel that connection when I first see & fall in love with little Miss or Mister, I can't wait to share all the love in my heart with out little creation. My childhood was filled with so many positive and happy times, I cannot wait to instill the values of honesty, family and charity in the heart of our child. My last 6 weeks cannot pass quick enough! My surprise third baby has turned my world, and my families upside down! To say I am in shock would be an understatement. I am looking forward to seeing my 13 year old and (will be) 11 year old sons enjoying and helping with their little brother or sister. They have already assured me of their help during my all day sickness and have already offered to help with their youngest siblings homework! What a gift to be able to watch third child grow and mature. Holding my first baby against my skin for the first time, and sharing this time with my husband. Also can't wait to share these special moments with my wonderful parents. getting to know and raise a little human being. see them succeed, fail and get up. getting big hugs and sharing happy and sad moment, reading story, being silly, kissing them goodnight. Helping him or her to be strong, successful,respectful and a good person. and especially looking forward to lots of cuddles! I'm really looking forward to sharing this world with him. To watch him grow and share all the delights it has to offer, to share this world with him is pure magic and I imagine that's just going to grow and grow and keep on growing in its magicness. I can't wait to see what my baby girl's personality will be like, to see how awesome my fiancé will be as a Dad, and how much fun my parents are going to have being grandparents! I also look forward to being a good example and showing her that girls can do anything! It is very exciting and I look forward to this new and exciting chapter of my life! This us second bubba, and with my daughter (5yrs going on 15!) being so loving and considerate to bump already, I am looking forward to their continued reaction and growing relationship - lots of photo oppertunities! I'm expecting my 3rd baby, but my first boy. I'm excited (and a bit nervous) to see how my two girls who are 3 and 5 react to their baby brother and look forward to see how the three of them interact. They are excited to meet him and kiss my belly alot. I can't wait to meet him and see what he looks like. If his anything like my girls, he will look like a mini version of my husband. Aside from an excuse to watch ridiculous TV shows at 3am? I can't wait for that first night together in the hospital, in the still of the night, to sneak in a cuddle and feel baby's soft little face on my cheek. As a first time mummy-to-bee I am most looking forward to the first moment spent together as a family, when two becomes three! Mummy, Daddy and our beautiful little baby. As a third-time mum, I'm really looking forward to those first precious moments with my new bub - just to be able to spend a few days together before the day- to-day reality of home life and adjusting to a new family member begins. And it will be lovely to have a new little cherub in our house again! No matter how many pregnancies a woman has, each time seems like being a first time mum. Having a new addition in the family is special and more love poured out of my heart! These are the moments I look forward to each time! As this was not planned as my others were, my emotions have been very mixed, probably helped by others' opinions around me. I am hoping that once I see this baby's face, all the questions will drop away and everything will make sense. Finally meeting our gorgeous boy who we have been waiting so long for. I'm pregnant with my third child, so am technically not a new mum, however with each birth, I do feel like a new mum all over again,. My two so far have been different in more ways than one, so I am very excited about meeting this precious one, as I'm sure he/she will add another dimension to our little family unit. Looking into my babies eyes for the first time and having our son enjoy his brother or sister! I cannot wait to hold my little girl for the first time and to see what she looks like. “I am looking forward most of all to the journey that will span a lifetime” As a mum-to-be I am anticipating having that eternal bond that seems to only exist between a mother and her child. I will be seeing the changes within myself that I did not know could be there like; finding I have the passion of a lioness to fight off all the bad dreams and monsters, the gentleness of soothing every "boo boo" as well as providing the overwhelming care, nurture and security a new baby needs. It makes me feel like I am an adventurer that is exploring a new and exciting place that no one has been before searching for precious treasures and relics over thousands of years old and it is a place that only I can ever go although I will never be alone, and I am looking forward most of all to the journey that will span a lifetime. Leaving work, lying on the couch, baby on my chest, staring into their eyes and cuddling all day long! I can't wait to see my little boy's face for the first time. I'm also looking forward to the reaction of my husband and 2 daughters when they meet their son/brother for the very first time. i'm looking forward to holding little fingers and little toes and being able to share my world witha completely new person. As a first-time mum I am most looking forward to a life-changing experience as the custodian of the gift of life. This is my second pregnancy and child, and I most look forward to seeing my children play and grow together. The first time he calls me mum. The overwhelming flood of emotions when I hold my baby for the first time and the lifelong journey of growing and learning and loving that we'll take together from that precious moment. Discovering life with my baby girl together with my gorgeous husband. A family at last! I'm really looking forward to sharing my life with our baby and doing everything we can to make him as happy and comfortable as possible! Getting to bring this baby home. My first born was 17wks premature and born on mothers day 2013, he was perfect in every way but too little to survive but I was so lucky to have met him and will cherish his memory forever. I know this precious new bub growing inside me has been sent from him for us. I am really looking forward to not taking anything for granted when it comes to this new life. As a mum to two little boys, I am excited about having my first little girl, my own mini-me. Lol. I look forward to seeing the differences in raising a girl versus boys and whether she does turn out anything like me. I'm sure her big brothers will dote on her and help me along the way. As someone who likes to shop, I also look forward to shopping for a baby girl! I discovered queen bee in my second pregnancy and I'm sure you'll help me through my third with some more great pieces from my favourite brands. I'm looking forward to that warm velvety feel of a newborn on my chest; the middle of the night feed where it seems like it's just me and baby; the cuddles and kisses of siblings. Having an excuse to just sit on the couch and feed baby. Having a reason to buy more breast feeding clothes from Queen Bee! As my husband and I have planned this pregnancy as opposed to my previous one I'm looking forward to taking bit all in and just enjoying it all and savouring every moment rather than seeing it all rush by because I didn't know what to expect. I will appreciate every little bit of my pregnancy and those first moments of every milestone just that little but more. I cannot wait! I'm looking forward to those little amazing moments when you can not believe that thousands of women of thousands have years have shared, and at the same time you feel so connected to every other mum simply by experiencing those moments. Being able to watch over our little one sleep and be in awe at the previous miracle we have been given. I can't wait to see my toddler who just turned 2, hug and be amazed by his new baby brother! Getting to see them together will be the most amazing thing ever! I can't wait! I'm looking forward to watching our first born daughter sharing life with a sibling and watching them grow together. Not only were we blessed with 1 but we are now blessed with another baby and I feel so lucky to have this baby growing in my tummy and will call me mom. I'm also looking forward to a closer family now that we will be complete. My memories of my mother are somewhat vague as my mother passed away when i was 10 years old. Since then i have always imagined what a mother daughter relationship was all about. For the first time this year i got to experience that true unbreakable bond, the never-ending love and unbelievable happiness. This is exactly what i was looking forward to experiencing when i became a new mum. I wouldn't change a thing. Falling in love in a whole new way. I am most looking forward to seeing my two children meet their new brother and watch them become the siblings they were meant to be a whole family. Also to see my husband thrive with the 3rd kid we were supposed to have all along. Being a first time mum.....I'm looking forward to meeting my new little one for the first time and a life changing experience! It has taken us a little over a year to get pregnant. I had a miscarriage in 2012 so I was a little afraid to get pregnant again. I am now 2 months and super excited. My son has been asking for a little brother or sister for so long now that each time it broke my heart to hear him ask. I so can't wait to see him interact with our new baby and watch them grown together and play. I feel great now but I know this pregnancy may not always be roses and I am totally okay with that. I will take whatever is given to me-morning sickness-backaches-weight gain, etc. The look on my son's face when we bring home a new baby will be worth it after the last year we have gone through. I'm looking forward to seeing my son become a brother, and to experience having a daughter! Watching a little person grow and blossom into a young man. It's an amazing privilege and grounding experience. I know I'm lucky to have this opportunity as some people don't get to experience it. Making our family feel complete after many ups and downs trying to get here and watching my beautiful daughter enjoy her sibling. Can't wait to share more precious moments as a family of 4. I am looking forward to seeing a beautifully perfect baby, to smell that newborn smell again and to hear a new little voice. I'm looking forward to watching and sharing in all those new "first times" and all those little moments that I know I haven't even thought of yet but most of all I am so looking forward to meeting my little girl and getting to know her day by day. As I know the love that I have for her now is nothing compaired to the love that I will have for her once she is with us. I can't wait to meet our baby, to introduce her to the world and most importantly her older and very excited brother! Seeing their little face for the very first time, hearing the first cry and having my first cuddle! I'm looking forward to experiencing the endless and unconditional love that will no doubt consume every cell in my body when I meet my little precious bundle of joy! The smell of a newborn snuggle! I can't wait to experience the love that I'll feel for my baby and my husband, our family, and after decades of looking after and loving other people's children I can't wait to finally be the mummy. To me it is the greatest gift a woman can give to bring a new life into the world. At 38 weeks pregnant I don’t have much to go until I meet my baby girl. I am looking forward to holding her for the first time, her tiny hand gripping my finger and that moment when she looks into my eyes and recognises my voice, I love her and my husband so much already and I am anticipating the moment when I love so much and find even more love. I can’t wait to hand her to my husband and see the exact moment when he looks into her eyes and nothing but love and devotion wash over his face. I look forward most of all as a new mum to celebrating the day of her birth and giving her an adventure filled childhood with princesses and tea parties, an amazing adolescence where we give each other makeovers and go on girly outings and her having an adventure filled adulthood and her wedding day when she finds her prince charming and gets to experience the love, joy and excitement that I feel for her right now. I am looking forward to meeting the little person I have created. I am just intrigued as to who they are. I'm looking forward to the moment when we finally see our new baby, the smell of a newborn, all those cute sleepy moments, and seeing my 18-month-old boy come into the hospital after I give birth, and finally being able to hug him without a belly in the way! And can't wait for when my boys are old enough to play with eacg other. Just two weeks left to go! That new baby smell and milk drunk cuddles! Everything! But particularly seeing my husband's face the first time he holds our son! First baby at 45 years old after miscarriage and failed IVF. The thing I'm most looking forward to is just being the mother I never thought I'd have the chance to. Still in awe and disbelief about the entire experience and feel so privileged to have motherhood knocking on my door. No idea what I'm in for but just know it my time to cherish a little one. Sharing this beautiful miracle with my partner and family, marvelling at the little life that we have created. The privilege of being able to experience all those "firsts" again with someone - first time in the rain, first smell of a flower, etc. I am most looking forward to snuggling up in my husbands arms with our beautiful and perfect little boy bundled up with us! I am so looking forward to the opportunity to appreciate the world from the perspective of a beautiful, innocent child. From watching my friends with little ones, it seems a baby brings an appreciation for the smallest of things. I can't wait to share that wonder! I'm looking forward to my older children sharing the joy & excitement in watching their baby sister achieving her milestones, especially her first steps walking towards them for a great big hug! Sharing the happiness she brings to us everyday! I've never had a mother so I'm looking forward to giving my baby all the love that I never had. Can't wait to form that bond and have a wonderful life together. Meeting the little monkey that is doing somersaults inside me as I type & completing our family with our third beautiful child.. Watching the little mr or miss grow, develop and change each day. Being able to cherish every moment of their little selves for years to come. This time I'm looking forwards to a little brother or sister for my 3 year old trouble maker #1. He's already showing the little bump so much love ("I love you baby" with hugs) and telling little stories about his day. Right now I'm also looking forward to better sleep again- not likely for quite a while! Looking forward to that first of many precious snuggles with my little one, I'm so so excited!!!! Having lost my mum almost 2 years ago & having difficulties trying to fall (& stay) pregnant, each day I'm reminded about how important my mum was in my life & how much every moment counts. I look forward to being there for my little miracle always, seeing them laugh & grow, & passing on the love, compassion & strength to them like my mum did for me. I'm looking forward to bringing a new little life into this world and watching them growing into an amazing human being. Being a mum of four now and watching them grow inspires me to be the best at everything I do for them. I love being a Mumma. I'm looking forward to everything! As a first time mum-to-be, I'm looking forward to meeting and holding our little person, and witnessing the magic of everything being the first new and exciting experience for him or her. I can't wait to share our love with our new baby though happy moments and the sleepless nights. Most of all I am so excited to watch big brother J (who will 18months at time of birth), share his love and many precious moments with bub. I'm looking forward to introducing my toddler to his new brother or sister! I can't imagine how magical it will be to introduce them to each other knowing what an impact they will have on each others lives. Makes me smile just thinking about it!! I have a 9 month old daughter. therefore I am really looking forward to my first official Mother's Day. My first baby passed away in 2012 at 5 days old from a heart condition. However the joy I have experienced with my second daughter has been doubled and seeing her gorgeous little healthy happy face everyday is amazing. To be honest I'm looking forward to having a healthy baby and growing this baby with a lot of love and respect. Just like my parents spent their life helping us teach about love and respect and now I want to do the same and call myself a proud mum one day like my parents. Babies are always a blessing. Having a baby in the family makes a home complete. Every single day, I look forward to my baby's hugs and kisses exclusively for me. I'm looking forward to my babies playing together. And being a real family! I'm looking forward to my partner and I sharing in loving our daughter and experiencing her life. I'm also looking forward to the new adventures she will bring to us. I can't wait to have a third member of our family to share all the great days with us and create beautiful memories. The magic of a newborn - their smell, their tiny toes, their long slow stretches, their tiny little noises and their contented sighs! I’m looking forward to the skin to skin contact, the warm cuddles and bonding for the very first time. This newborn stage is absolutely amazing and over too quickly and I’m going to savor every moment of it! I am grateful, proud and privledged to have 2 beautiful boys (4 and 2 years old) that bring my husband and I so much joy and fulfilment, as well as plenty of challenges (daily!). I'm pregnant again, and just found out that we are having a little girl this time (the icing on what was already a very wonderful cake). It is especially sweet because I lost my mother to cancer 6 years ago before any of my children were born and not a day goes by where I don't think of her and miss her presence in all of our lives. I'm so excited to have this opportunity to create a new mother/daughter relationship that I will be so special to me. As a third time Mum I am looking forward to those initial loving gazes from my little bundle of joy , and then watching the gazes eventually become smiles at around 5 weeks....its falling in love all over again (when you think your heart is already so full) and that makes the first trimester morning sickness, jabs, endless medical appointments, tiredness, backaches and forced side sleeping of pregnancy so worth it:)! Our new family. Creating and witnessing our own 'first times'. I cant wait to hold my bubs for the first time, to bathe my bubs for the first time, to dress the bubs in cute new clothes, to walk around the shops holding my new little bundle and be so proud and excited to show my precious new darling! I remember, when my son was first born, exchanging knowing glances with other new mums when we went out. I felt like I had become part of a secret club. I'm looking forward to feeling like I have been granted a higher level of membership to this exclusive and very privileged group when my second child is born. Playing with my children. Having fun, laughing with them, those smiles and squeals of glee, the cheeky smiles as we do something mischievous, the joy on their faces as we make something with cardboard boxes, masking tape, paint, pipe cleaners etc. Simply having them in our lives. That's what I look forward to and currently enjoy. As a 4th time Mummy I am looking forward to the constant joys a new baby brings. I am looking forward to introducing this bubby to his/her siblings. I am looking forward to all the firsts and lasts and the constant crazy busy times with never a dull moment. I can't wait for the snuggles. I am looking forward to pushing this baby out and avoiding further caesareans BUT TO BE COMPLETELY HONEST I LOVE THIS FEELING OF BEING PREGNANT SO MUCH I NEVER WANT IT TO END, JUST IN CASE IT IS MY LAST. Being hit with a whole lot of love that I haven't experienced before. What is not to look forward too! The sleepless nights, dealing with colic, then comes teething! BUT, because that little bundle is mine.... all mine - I won't care! I look forward to the endless cuddles, their developing personality, the crazy adventures to come, cubby houses in the lounge room! Its a new chapter a new beginning!! BRING IT ON! I think every woman perceives her role as a new mom in a million different ways but we all are united by one simple thing - love. Holding our first little bub for the first time due on the first of October! The first time the baby looks at my husband and I.
I look forward to: embracing a little chaos in my life smiling and giggling more playing instead of doing housework and falling in love again! Seeing His/Her Little Face when they arrive into the world,Just being a mum for the very first time. And getting no sleep! I'm so excited about the challenge of being a new mum. Im so amazed with the life we have created and look forward to teaching my son everything I can and be proud of the man he will become. My husband becoming a daddy and doting on his baby girl. I'm an estatic & suprised first time mum @ 40 after being told for 20 years ago that it was just never going to happen for me. I'm cherishing each day being pregnant. I'm looking forward to this crazy new experience called motherhood and our family becoming three. As a first time mum and midwife I'm most looking forward to the hour after birth where it's just such a special time for my partner, myself and our baby. It's the best part of my job, and I'm so excited will get to experience that soon. I'm looking forward to meeting my new little baby, hearing them laugh, watching them grow and play with my son. As a second-time new mum, I'm most looking forward to getting to know the little person I have been carrying and nurturing on the inside for the last few months, feeling more competent as a mother of a newborn than I did the first time (! ), seeing and continuing to shape the person and kind of big brother my son (eldest) will be, seeing my husband opening his heart even more to another person, and being able to share our family's and friends' love and support with our newest family member. I'm looking forward to one of the greatest blessings in the world which is simply being someone's mum. To hold with my hands for the first time my little miracle. To sit and take in all that she is, to be in awe of her, and to face with courage all of the challenging moments that come with being a mum. This is my 9th pregnancy. I have one miracle 14 month old boy. He is nothing short of a blessing. I am praying that I may look into the Angel eyes of the baby in my tummy. I have complications with this pregnancy too, related to other illnesses. To date, this baby is strong and healthy and my excitement and hope grows with each day. After recently losing my own mother, I am looking forward to being a mum myself and creating new memories with my baby. I'm also looking forward to passing onto my child what my beautiful mum taught me. I'm really looking forward to sharing our excitement of the new baby with family and friends. After 10 IVF cycles including 2 miscarriages over a 4 year period, our first baby will finally be arriving in September... I'm looking forward to being able to nurture and love this little being and will enjoy the fun, laughter and surprises that the baby will no doubt bring into our life. I'm looking forward to sharing each day with our new little baby. I have shared my body with them for 6 months now and I can't wait to share the rest of the world and our lives with them. It will be a thrill to see the world afresh as they will see it- everything new and special, and to know that as their Mum I will be able to hold their hand and guide and love them as they explore all there is around them. I can't wait to see this little soul that is with me everyday materializing in to a person. Although this baby isn't going to be our first, I look forward to getting everything ready again. I thought we were only ever going to have just the two but recently things have changed and myself and my husband are now excited about baby no. 3. I look forward to having a healthy happy baby! After 3 heartbreaking miscarriages then 5 ivf attempts to get our first baby, every little moment will be an absolute joy! For us it was making our own little family, getting to share our love with another little person, watching them grow up. Looking forward to meet and introduce this baby to her daddy and three sisters,girls are sooooo excited.